more and more American's are finding the need to convert valuable investment paper to LUMP SUM Cash just to make ends meet. And unfortunately, these circumstances are unlikely to change in the near future. and you would like to sell a mortgage note, business note, structured settlement, gaming award or similar annuity, call us today. Our contract buyers will pay TOP DOLLAR for a complete cash out of your note or annuity or will purchase just a portion of your remaining note payments (known as a "partial"). Contact us today for a FREE no-obligation quote on your note or Cash Flow. You'll be glad you did! The heart of everything that we do, is what we call the Masoba Innovations Promise! We promise to listen to you. Everybody has a different need or want. In order for us to be able to assist you properly, we take the time to listen and understand your needs and wants. We promise to treat you right. We believe in treating others the way we would like to be treated. You are more than a transaction to us. We see you as family, and work our best in treating you as such - with the respect and kindness that every family member deserves. We promise to communicate clearly. We understand that not everybody knows financial jargon; therefore, we take the time to clearly communicate all information to you. We are also BILINGUAL! 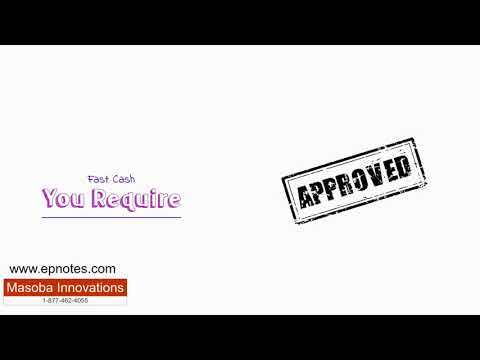 Masoba Innovations - EP Notes division provides professional, helpful assistance to people looking for a LUMP SUM of Cash. We pride ourselves in helping those who are selling payments from their mortgage notes, business notes, structured settlements, annuities, lottery winnings, and any other payment streams.